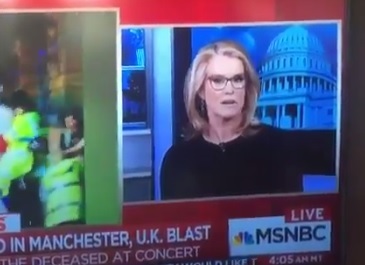 BBC host Katty Kay went on Morning Joe on MSNBC this morning after the Manchester concert bombing to discuss the Islamist attack. Katty Kay: mothers that they found who are still looking for their daughters. And daughters they found who are still looking for their mothers. And they can’t find the rest of their families. And I think that is what is making… Europe is getting used to attacks like this Mika. We have to. Because we are never going to totally wipe this out.